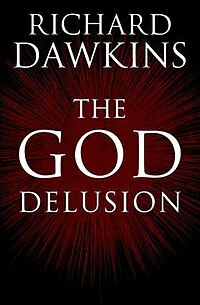 So I’ve finally gotten around to reading more of Richard Dawkins’ The God Delusion. In my previous post on the first 120 pages, I focused mainly on Dawkins’ incredibly–and indefensibly–narrow definition for the “God” he then refutes. By defining God in a way that few serious theologians today–or before 1300–would accept, Dawkins is able to build a straw man easily knocked over and burned down. Any more robust–and traditional–doctrine of God as being-itself, as Aquinas famously wrote, is simply ignored. Essentially, Dawkins only addresses a very modern (or, perhaps more accurately, counter-modern) understanding of God: a fundamentalist God–and therefore an understanding of God that most of the world’s Christians would understand as heretical. First off, it’s clear that not only is Dawkins only interested (or able?) to debate the god of fundamentalism, he also only seems to think that the only interesting theological debate is between creationism v. natural selection (pp. 112-114), as if God has only ever served as a mechanical explanation for the arising of life on this planet. Of course, if this were the case, the Bible could have ended after the second chapter of Genesis! The idea that many–as in hundreds of millions–of modern Christians both firmly believe in God and accept fully and even enthusiastically the theory of natural selection seems to not have occurred to Dawkins whatsoever (pp. 60-61). Dawkins also simply sidesteps the assertion that God is simple, as in not a complex structure or being. Since Dawkins defined God in the second chapter as a superhuman, supernatural intelligence (p. 31), it follows that he cannot interface with any idea of God as simple. But of course here lies one of the deepest flaws of his whole position: he seems to have never really researched much traditional Christian theology, except when he cherry-picks some of its weaker examples (as when he brings up Anselm’s famously inadequate ontological ‘proof’ pp.80-81). He earlier (pp.78-79) critiques some of Aquinas’ ‘proofs’ of God’s existence, but never addresses Aquinas’ most famous, and significant, definition of God as being-in-itself (as I have mentioned earlier). This oversight is worth repeating because Aquinas, in fact, goes out of his way to make it clear that God must be understood as simple, from an ontological standpoint, precisely because all relation and structure arises from God as being-itself: the very cause or ground of complexity, logically, cannot itself be complex, at least not in any way that is grammatically meaningful to us. But that’s a nerdy discussion for a later (and, I suppose, nerdier!) section below. We’re not quite at the point in Dawkins’ thought to address a robust understanding of God. Although Dawkins is mostly concerned with dismissing God as an alternative to natural selection, he also sees God as an alternative to (rather than an interpretation of) purely scientific understanding of the genesis of the physical universe itself. Nevermind that discussion of God is really always about teleology (meaning and value) rather than mechanical explanation (and anyway, Dawkins simply refuses to treat teleology as serious when he dismisses why questions out of hand (p.56). In any event, Dawkins then later brings in contemporary physical cosmologies, the most interesting of which is the “multiverse” theory (pp.143-145). Dawkins begins with a discussion with the ‘anthropological principle’, which points out that if some of the central constants in the laws of physics were to change only slightly (for example, if the one of the strong force’s constants changed from 0.007 to 0.006) then life would, as far as we understand it, not be possible. In such a universe, no atom more dense than hydrogen could ever form, and the universe would just be a misty sea of hydrogen gas. The tantalizing question is: why is that that our universe seems to “fine-tuned” for life? This is, essentially, just a more technical way of asking “why is there something, rather than nothing?” which is a central theological question (but, as Paul Tillich made clear in his Systematic Theology, it has no conceivable, explicable answer). The multiverse theory attempts to answer this mystery by proposing an infinite number of universes–collectively, a multiverse–in which the laws of physics are set at random values. We simply happen to be in one of the–presumably very, very rare–universes with a set of physical laws that allows for complex structures, including life. Now, the multiverse theory may or may not be true, but it simply does not provide an answer to the question Dawkins asked, because a multiverse would simply shift the question back one step further. Even if we grant that there are an infinite number of universes which laws are determined by chance or randomness, we still might ask why there are any universes, rather than none. More to the point, such a system of universe would demand, quite literally, a meta-physics. It would demand some set of laws that governs how the ‘lower’ physics would be determined. Something must govern the fluctuations in the physical constants, even if that something is simply logic mediated by mathematics and chance. Such a system would still beg for an explanation. It’s curious–and telling–that Dawkins doesn’t seem to see this. While he repeatedly points out that the “God hypothesis” fails to answer the question of the origin of existence because God would then simply demand an explanation, he misses completely that this critique is true of any rational, non-paradoxical attempt to answer the question of the arising of being. This is precisely why Aquinas ended up asserting God’s radical simplicity as being-itself, or what Paul Tillich would famously call, more than 700 years later, the “ground of being”: God is not a structure, a being, or a person: God is the very ‘ground’ that allows for existence to occur. Of course, under this understanding, as Tillich himself pointed out, it may not make sense to say that God “exists”: things exist, and beings exist. But God is simply being-itself: existence itself. And existence doesn’t exist. But the crucial insight is that whatever verb we might conjure for the reality of God, it is more, rather than less, than existing. But I admit this is a mysterious sort of metaphysical mumbo-jumbo: The trouble for Dawkins is that he can’t escape it any more than I can. The multiverse will demand the same sort of ad nauseum regression of cause that Dawkins criticizes theism for requiring (p. 143). The fact of the matter is that this problem is one that any philosophy, theology, or theory has to address–even though no rational answer seems conceivable, since we are ultimately asking how logic itself arose, it seems unlikely that a logical answer can ever fully suffice. But instead of admitting the mystery of this, Dawkins prefers to lean heavily on an interesting but ultimately futile answer to the problem, myopically ignoring the fact that it contains the very flaw he so relentlessly points out in his opponents. Dawkins stumbles into metaphysics without even realizing it, even while outlining a literal meta-physics! I’ve been reading Richard Dawkins’ The God Delusion the last few days. I’m only about 1/3 of the way through, but I’ve found the book so frustrating so far that I wanted to write down my impressions so far. Dawkins is one of the “New Atheists”, a group of writers including not only Dawkins but Sam Harris, the late Christopher Hitchins, and many others. These authors have, over the last 10-15 years, begun a sort of evangelical atheist push, aggressively attacking religion and the concept of God writ large. The theological response has been as paltry as it has been quiet. While fundamentalist writers have simply dismissed Dawkins et al. with barely a response at all, more sophisticated theologians seem embarrassed in the face of Dawkin’s assault, and seem ready to cede the debate before its even begun. Alister McGrath, whom Dawkin’s interviewed for his documentary The Root of All Evil? failed to respond consistently to any of Dawkins’ questions and failed to really get at the heart of the matter, at least as I see it. there exists a superhuman, supernatural intelligence who deliberately designed and created the universe and everything it, including us. This definition works well in Sunday School, but it’s hard to imagine any but the most doctrinaire of fundamentalist theologians defining God in this way. So right off the bat, Dawkins defines God in a narrow way, seemingly intentionally reading as literal what has always been understood as metaphorical and analogical. Later in the same book, on pages 77-79, Dawkins briefly discusses some of Thomas Aquinas’ (in)famous “proofs” of God’s existence. He not only dismisses the valid questions that the “causation” proofs raise, but, much more importantly, he ignores that Aquinas’ central definition of the Divine was that God was being-itself (ipsum esse subsistens). Dawkins never even mentions Augustine in this chapter, but its worth noting that Augustine understood God in the same way. The point of this brief detour into the history of theology is that understanding God as a superhuman, supernatural intelligence and understanding God as being-itself are two totally, radically different understandings of the nature of God. The former has often been affirmed in Christian communities, but almost always (at least until the rise of fundamentalism in the 19th century) as a metaphorical, analogical, anthropomorphic way of describing what is un-describable. The latter much better captures the center of Christian theological thought. And as Terry Eagleton points out in Reason, Faith, and Revolution, academic and intellectual rigor demands that you take your opponents at their best–not worst–arguments. Such an omission from The God Delusionsuggests that either Dawkins hasn’t bothered to read any theology, or that he is intentionally misrepresenting the position he wants to argue against. Neither conclusion reflects well on Dawkins’ usefulness as a voice in this matter. The former would reflect an arrogance and hubris that would likely blind him to any real dialogue; the latter would suggest that Dawkins isn’t even capable of making any statements in good faith on the subject at hand. Now, if Dawkins wants to write books decrying creationism, defending evolution, or dismissing fundamentalist literalist bibliolatry–I’m all for it! As a decorated biologist with decades of experience, he’s well qualified to discuss the intersection of biology and religious belief. But again, a takedown of fundamentalism does not an atheist make: I certainly agree with him that evolution is a much better and more likely explanation for the nature of life and its diversity than creationism; I also assert, along with him, that every sentence of Bible isn’t literally true. Yet I’m a practicing Christian. Clearly there’s a gap in his methodology, his knowledge, or his intellectual honesty. And this isn’t just a bunch of technical theological mumbo-jumbo. Most modern people would be highly suspicious of claims that God is some sort of superhuman watchmaker. And yet many modern folks continue to value spirituality and many people who are not religiously active often describe themselves as believing in God, or some sort of God-analogue (Life Force, Spirit, etc.) It’s clear that fundamentalism can never serve these people’s search for truth or understanding–but that doesn’t mean that the only approach left is a militant, semi-nihlistic atheism. Approaching God as being-itself is not only more traditionally defensible than the modern fundamentalist nonsense, it also offers a much deeper approach for people searching to understand the nature of existence. In short, much like American politicians like to simplify political theory into capitalism v. communism, it seems that Dawkins et al. 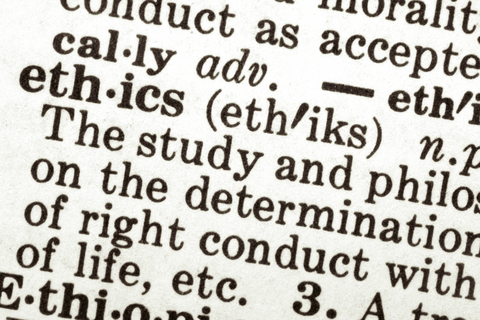 would prefer to define philosophy and theology as fundamentalism v. atheism, excluding all the multivarious ways in which people actually grapple with the terror, mystery, and glory of existence. Granted, I’ve just opened a big can of worms, and I do hope to address in greater detail some of what I’ve raised here: especially the idea of God as being-itself. But to keep this post at a more manageable length, I’ll conclude here, hopefully having at least made the case that Dawkins isn’t addressing the “God debate” with the intellectual rigor, honesty, and curiosity that the issue demands. It’s especially frustrating considering that someone wrote a book 50 years ago that explores the question of a modern view of God in a much more sophisticated and valid way: John Robinson’s Explorations Into God. But it seems clear that Dawkins sees the debate only in terms of evolution v. creation, but instead of limiting himself to that topic–which as I said above, he’s well-qualified to tackle–he instead delves into territory he refuses to actually explore, already confident that his conclusion is unassailable. You can read my next post on The God Delusion here.